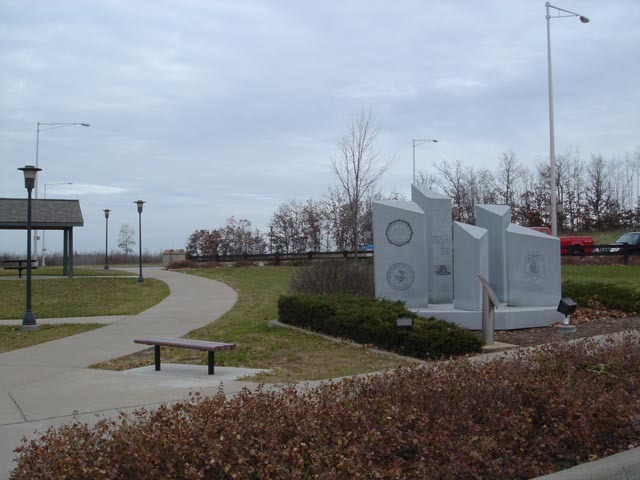 Located West bound rest area US94 5 Miles North of Millston WI Coordinates Lat N 44:14':833" Lon W -90:44':273"
Wisconsin Vietnam veterans provided leader.' ship for the establishment of a memorial dedicated to the men and women of the state who served in Americas 20th century conflicts. In 1985, the Wisconsin Vietnam Veterans Memorial Project acquired property near Neillsville, northeast of here. The site contains a strik~ ingly beautiful elevated panoramic vista overlooking 500,000 acres of countryside. The site was soon dubbed "The Highground" by the veterans. 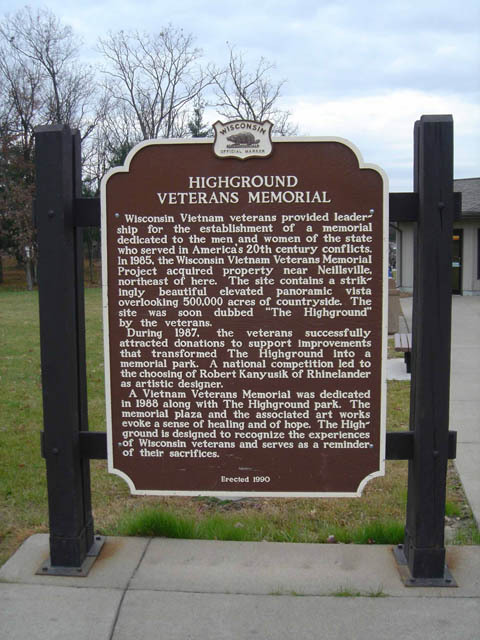 During 1987, the veterans successfully attracted donations to support improvements that transformed The Highground into a memorial park. A national competition led to the choosing of Robert Kanyusik of Rhinelander as artistic designer.